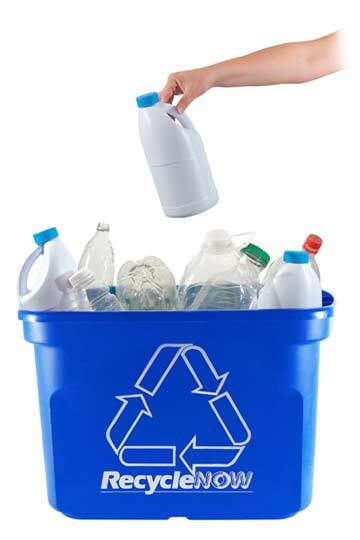 Washing and sorting out all those old plastic bottles and metal trays to put in the recycling bin can be time consuming and unpleasant. Yet it helps prevent endless tonnes of waste pouring into landfill and plays its part in reducing the staggering thirty million tonnes of rubbish produced by UK households every year. Most of this waste comes from packaging. Under European law, the UK is required to meet exacting recycling standards to help reduce the country’s carbon footprint and safeguard its environmental future. The UK currently recycles just over 20% of its rubbish and the government charges us tax for taking waste to municipal dump sites, in a bid to encourage us to recycle more. So it pays all of us to recycle and work towards reducing this tax and the burden on local authorities to process our rubbish for landfill. Work is ongoing to reduce the amount of waste that the UK puts into landfill sites from over 75% to just 25% by 2020. Recycling not only reduces waste, but it also saves the energy that would have been spent on manufacturers producing something new from raw, natural resources. Energy savings result in lower fuel bills and production costs and a lesser need to export resources from abroad to help create new products. Thus, our carbon footprint is also reduced. On an international scale, large-scale production, along with other factors such as transport pollution, is exacerbating the amount of harmful gases in the atmosphere, which in turn is causing global temperatures to rise. We are seeing shifts in weather patterns cause increasingly severe and devastating effects, such as natural disasters and agricultural problems. As our lack of recycling impacts on other, more vulnerable parts of the world, so we must commit more and more of our country’s budget towards international financial aid. Recycling is quick and easy to do. If you don’t know where to start, there are plenty of hints and tips online. You can also buy specialist rubbish sorting systems and colour-coded bins, along with composting equipment and organic waste recycling containers. If you have a large amount of waste to shift, or are concerned about moving hazardous waste, such as white goods or chemicals in the most environmentally-friendly way possible, an expert clearance company can advise you and remove it responsibly for you. They can also help you start your waste sorting and recycling regime from scratch and set up regular visits to remove and recycle your waste in the correct manner.